It can get really frustrating when you wake up in the middle of the night from hot flashes and sweat. The more popular mattresses and pillows on the market tend to unfortunately trap heat very well. Cooling pillows can help counteract this effect. Throughout the day, as your pillow sits on its own, it releases heat at a slow rate. The nature of its material means that heat moves in and out of the pillow very slowly. When night falls and you prepare to sleep, cooling pillows take a significantly longer time to warm up compared to other types of pillows. 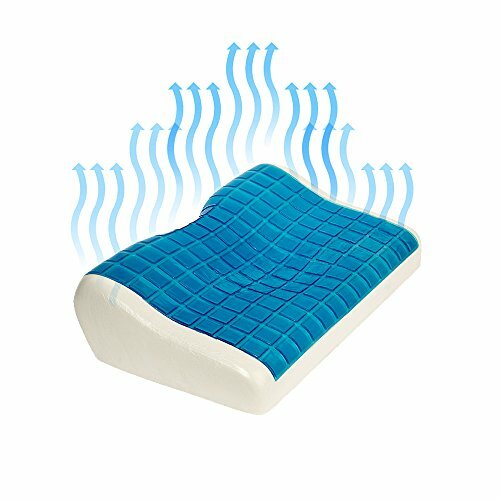 2 What Makes A Cooling Pillow Worth It? 3 Do Cooling Pillows Really Work? 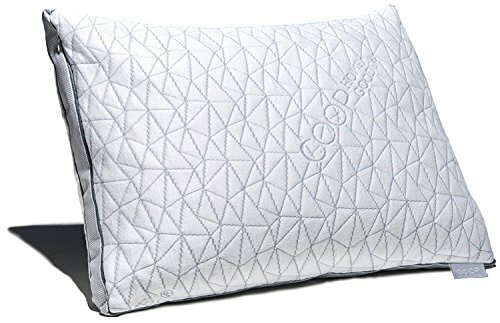 What Makes A Cooling Pillow Worth It? The pillow is designed with cooling features – Most pillows are designed for comfort. The materials used have minor consideration for regulating temperature. If they are breathable or uses water or gel, you can count on the pillow to be designed for a cooler sleep during the night. 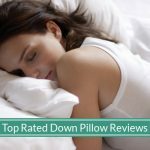 Comes from a reputable brand – In this buyer’s guide, we selected brands that are well known for their pillows and/or cooling gel pillows. When buying on Amazon, be sure to pick the right seller for the brand. You can tell whether a seller is the correct one by choosing the one with positive reviews. You live in an uncomfortably heated environment – This could be because you are living in a warm climate and try to save money by reducing air conditioner use overnight. You wake up during the night feeling hot enough to have trouble falling back to sleep – When you find yourself flipping your pillow or adjusting yourself to find a cool surface, it’s time to search for a cooling pillow. 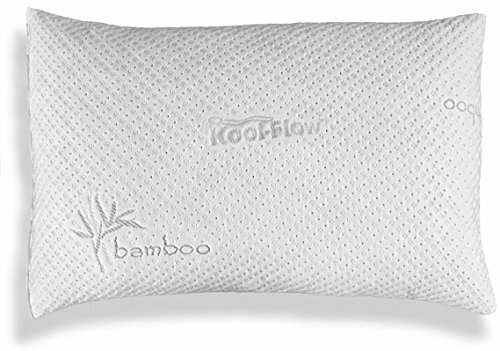 The cooling effect and breathability of these pillows can help hot sleepers rest uninterrupted during the night. 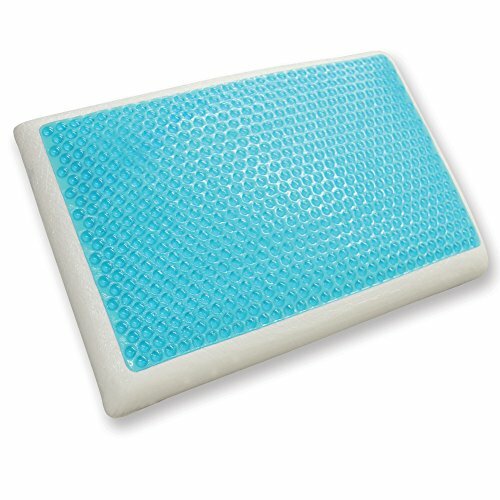 Cooling pillows are especially useful during the summer months or anyone living in a hot, humid climate. The American Academy of Sleep studies have found that individuals with insomnia sleep better with a cooled prefrontal cortex, an area of the brain just behind your forehead.. Insomnia affects one in 10 American adults most of which struggle for relief even from current therapies. If you suffer from this common sleeping disorder, owning a cooling pillow can help you drift into sleep easier. Do Cooling Pillows Really Work? 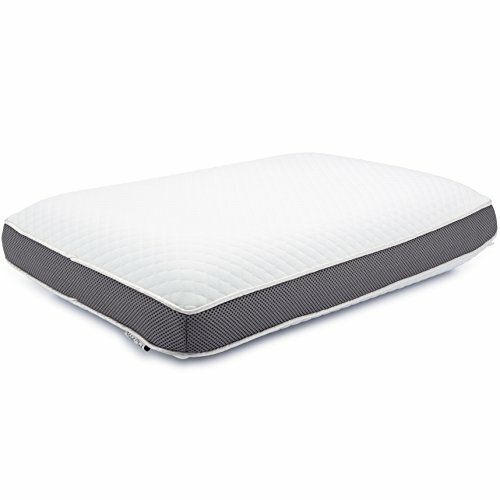 They are breathable – which means there are holes or gaps in the pillow’s filling that allows air to flow freely. This works best when the pillow is not compressed heavily. For example, down pillows may feel refreshing, but down fillings can be heavily compressed losing the ability to let air flow freely throughout the pillow. Air flows help with evaporation of moisture thus resulting in a cooling effect. They use water or contain gel – Water does an excellent job in transferring heat. Our body does this naturally when we get too hot and begin to sweat. The evaporation process that happens over time with our sweat helps cool our body temperature as it takes the heat with it as it disperses into the air. Water found within the chambers of a pillow can help conduct heat from the surface and pull it away from you. Gel does the same thing. 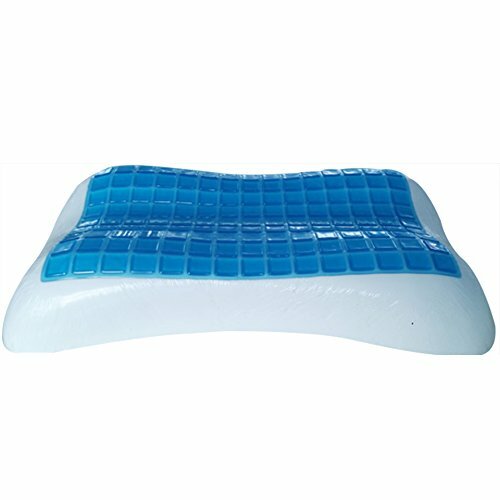 Pillows infused with gel or contain gel beads can help conduct heat away from your head. Made with the same materials found in ice packs for coolers, gel slows down the process of heat transfer and prevents heat from getting trapped in your pillow. Through the power of phase-change materials (PCM for short), heat is released during the day to provide you a cool sleeping surface at night. The cool thing about PCM is that it was originally designed by NASA for their next-generation spacesuits to absorb, hold and release heat to keep people comfortable. Control your room temperature – It might be time to get a fan or turn on your air conditioning. Owning a fan or turning on your air conditioning and ensuring your room temperature is at a comfortable level for sleep is the quick and easy fix for night time heat and sweating. The typical recommendation for room temperature to sleep comfortably is between 65 to 72 degrees Fahrenheit. However, you should set your temperature at comfortable level, whatever is best suited for you. Cool yourself down before bed – Avoid exercising or strenuous activities or eating heavy foods before bed. Physical exertion or digestion kicks your body’s metabolism into high gear which generates more body heat than normal. What can help is to drink a small glass of cool water before bed. Avoid jumping into bed unless you are ready to sleep – Sitting upright, reading or working on your bed can warm up your bedsheets, blanket, and pillow. If you try to sleep after spending 30 minutes reading or working, you might be snuggling yourself with your own built up body heat making it difficult to fall asleep easier. Freeze your bedsheets – An old trick in the history books that may not relieve you of heat throughout the entire night, it may help you fall asleep faster. You can use a plastic sealed bag to store your sheets to place into your fridge or freezer. The plastic bag will keep food smell and other possible contaminants from rubbing onto your sheets. Once you’re ready to sleep, you can whip them out and hop on top or cover yourself to enjoy the quality cold. Reconsider your choice of fabrics – If you’re sweating during the night, you may need a change of fabric. Aside from ensuring you wear loose-fit and comfortable clothing for bed, your bedsheets, comforter, blanket, mattress type, and pillow cover can contribute to the build up of body heat. Fabrics that contain polyester or flannel tend to trap body heat and moisture, causing nightly sweating. Instead, you can choose softer and natural fabrics such as cotton for better airflow and breathability. Cooling pillows are a great choice if you live in a warm climate. Sweating at night time and hot flashes can interrupt sleep unnecessarily. 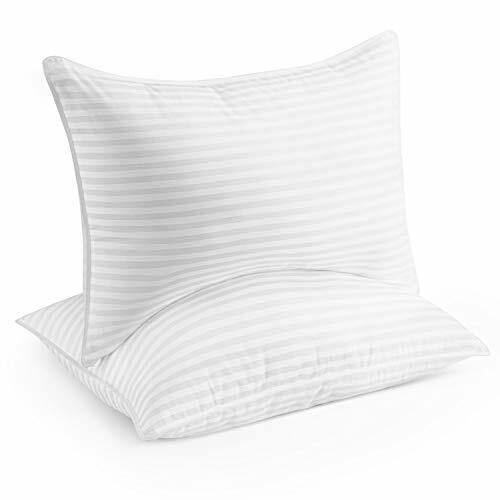 Unlike most pillows, cooling pillows provide you with a sleeping surface that very slowly heats up. This means you can enjoy a cooler sleeping surface for a longer period of time. In this guide, we cover how a cooling pillow helps, considerations when shopping for one, and our top five recommendations for a cooler, better sleeping pillow.